Have you scheduled an appointment with a plastic surgeon, felt like a ghostly presence in his or her waiting room, only to be rushed through a meeting with a “consultant” instead of the plastic surgeon so that payment could be discussed? This factory approach to your crucial decision to have cosmetic surgery is not what you will experience in our practice.At the California Center for Plastic Surgery, we pride ourselves on the expertise and warmth of our staff. More patients than can be counted have chosen us because of the immediate feeling of trust, compatibility and genuine caring that they felt upon meeting us. The warm smile that greets you when you walk into Dr. Younai’s office is that of Linda Miranda, who has worked with him since 1997. “He is a very warm and caring doctor who inspires trust from the day that you meet him,” says Linda. 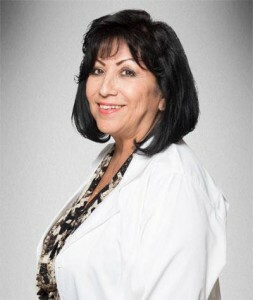 Linda loves working “face to face” with patients, and shares her vast knowledge about each cosmetic surgery procedure at the California Center for Plastic Surgery. Having had her own “Tummy Tuck” performed by Dr. Younai, she shares her experience and “Before and After” photos with the men and women who are investigating their surgical options. A Medical Assistant at both the clinic and the surgery center, Alexandra Contreras, is there to help patients with every aspect of their before or after surgery care. Alexandra says that “It is very nice feeling to be appreciated by patients when you help them get dressed or when you change their bandages.” “People can sense when you truly care about them” says Alexandra. Dr. Zaid received his Doctor of Osteopathy from Western University of Health Science, and is certified by the American Board of Anesthesiology. He completed his training at schools including USC, Boston, and Harvard Universities. He has extensive experience administering anesthesiology in open heart, trauma, and other “high risk” procedures. “I believe in treating, not just heart and blood pressure, but the patient as a whole person,” he says. “The human brain is still the best technology.” He adds that he gets a “tremendous sense of fulfillment” from helping patients through procedures that ultimately boost their self-confidence. Dr. Zaid says that his work at the Regency Surgery Center is done with the latest equipment, and with a staff superbly trained to monitor patients through the recovery process. “This is very important with anesthesia, where you must be very precise and constantly aware of coexisting disease processes.” With this level of professionalism and expertise, Dr. Zaid also directs other staff anesthesiologists in the care of patients. “He’s so meticulous in monitoring each patient – he’s like a computer in that respect,” says Dr. Younai. Dr. Zaid has been working with Dr. Younai with plastic surgeries since 1999. Dr. Younai also says that “I have tremendous respect for Dr. Zaid’s abilities as an expert anesthesiologist, as well as being a descent, caring, and honest physician. After all, he is the one that gave anesthesia to my wife and my mother for their surgeries.” With such a personal recommendation, you should also feel secure with your anesthesia care. “I always knew that I wanted to care for people,” says Joseph Chacon, Dr. Younai’s superbly trained operating room technician and assistant. Dr. Younai says: “Joseph is my co-pilot. He is very hard working, caring and meticulous.” Joseph, always tires to break the ice with the patients as they enter the operating room, while at the same time making sure that the OR environment is optimal for the them- from the room temperature, to the type of background music that they would like to listen to. That’s giving it 120%.